Updated: 3:59 p.m. with comments from Third Point. Yahoo said it had appointed three new directors today, a move that is a direct strike back at activist shareholder Dan Loeb of Third Point and his alternate slate of directors. I reported last week that Yahoo would take this aggressive tack with Loeb in its looming proxy fight with him. The Silicon Valley Internet giant’s choices are both interesting and more substantive, including experienced media exec Peter Liguori (pictured here). The other two are John D. Hayes, EVP and CMO of American Express Company; and Thomas J. McInerney, the outgoing CFO of IAC/InterActiveCorp. Liguori was most recently the COO of Discovery Communications; before that, he was the chairman and president of entertainment of Fox Broadcasting Network, a division of News Corp.
Take that, Jeff Zucker, the former NBC honcho, who is Loeb’s media pick for a directorship! Actually, Yahoo declined to accept Zucker, as well as Loeb and also media exec Michael Wolf to a board position. The company said it would agree to accept Third Point’s choice of turnaround specialist Harry Wilson and another director to be mutually agreed on, but that Loeb had rejected that offer. “The Board remains open to hearing Third Point’s ideas and to working constructively with Third Point, but believes that appointing Mr. Loeb to the Board is not in the best interest of the Company and its shareholders,” said Yahoo in its statement, which is below in its entirety. Meanwhile, Loeb, via multiple letters and filings, has been aggressively making a case that Yahoo investors should take a gander at his alternate slate of directors. He recently submitted a preliminary proxy filing with the Securities and Exchange Commission. Third Point on Sunday blasted Yahoo’s latest move and said it was moving forward with its proxy fight. The three new choices from Yahoo join two other new directors that Yahoo had previously selected to fill the five open slots — former Rovi CEO Fred Amoroso, and LiveOps Chairman (and former CEO) Maynard Webb, who was once COO of eBay. They replace, among others, Yahoo co-founder Jerry Yang, as well as Chairman Roy Bostock, who are both stepping down. It’s not clear which of the new — or old — Yahoo board members will become chairman. Game on in the proxy battle, by the way. SUNNYVALE, Calif., March 25, 2012 — Yahoo! Inc. (NASDAQ: YHOO), the premier digital media company, today announced that its Board appointed three new independent directors, effective April 5, 2012: John D. Hayes, Executive Vice President and Chief Marketing Officer of American Express Company; Peter Liguori, former Chief Operating Officer of Discovery Communications, Inc. and former Chairman and President of Entertainment of Fox Broadcasting Network; and Thomas J. McInerney, the outgoing Chief Financial Officer of IAC/InterActiveCorp. “Each of these individuals impressed the search committee with their demonstrable records of significant accomplishment at the highest levels of media, advertising and marketing, finance, including corporate finance and restructuring, and further insight into customers’ perspectives. Together, they bring a powerful mix of exactly the right ingredients to fuel Yahoo!’s forward momentum. Having thoroughly reviewed a broad range of highly qualified candidates and sought input from a number of major shareholders, the Committee enthusiastically recommended to the full Board the appointment of these three excellent directors,” said Patti Hart, chairman of the Board’s Nominating and Corporate Governance Committee, which conducted the search process. The Nominating and Corporate Governance Committee conducted the search process in conjunction with a leading professional search firm and identified, interviewed and evaluated a wide range of candidates, including Third Point’s nominees. Following completion of the Committee’s evaluation process, the Committee and the Board determined that the group of candidates announced today were the best qualified, based particularly on their individual accomplishments and records of value creation in other positions with specific relevance to Yahoo!’s business and its opportunities. At the same time, in view of Third Point’s significant ownership position and the qualifications of Harry Wilson, the Board concluded that it was appropriate to propose that Mr. Wilson and a second individual mutually acceptable to both Third Point and the Yahoo! Board of Directors, outside of the other Third Point nominees, join the Board in settlement of Third Point’s solicitation. In addition, the Board believed that there is value in avoiding the cost and distraction that inevitably accompanies a proxy fight, and determined that this proposal was in the best interest of all of its shareholders to avoid that expenditure of resources. Third Point founder and Chief Executive Officer Daniel Loeb rejected this proposal and declined to end Third Point’s solicitation with respect to its own four candidates unless he personally was appointed to the Board. Based on the Nominating and Corporate Governance Committee’s thorough review of a broad range of candidates and their qualifications, including Third Point’s nominees, the Board determined that other candidates were more qualified for the position. The Board remains open to hearing Third Point’s ideas and to working constructively with Third Point, but believes that appointing Mr. Loeb to the Board is not in the best interest of the Company and its shareholders. The Board continues to believe that the Company needs to move quickly to implement change and improve its performance. The Yahoo! management team is moving with a sense of urgency to reshape and refocus the Company on its core strengths, with an emphasis on redeploying resources to the most productive areas and equipping the Company to invest in growth and innovation. As now constituted, the Board has a well-rounded combination of financial, media, advertising, marketing, operating and technology expertise necessary to bring the right leadership to build value for all Yahoo! shareholders. Mr. Hayes, one of the nation’s most innovative marketing executives with an expertise in digital marketing, has served as Chief Marketing Officer at American Express since 2003, overseeing that company’s marketing strategies and product development, as well as its global marketing, market research and publishing organizations. Prior to that, he served for eight years as American Express Executive Vice President, Global Advertising and Brand Management, responsible for brand marketing worldwide. He began his career in the brand and advertising industry and, among his senior positions, he served as President of Lowe & Partners where he led that firm to unprecedented growth through the development of product position and global campaigns for several major corporate clients. Mr. Liguori served as Chief Operating Officer of Discovery, the leading non-fiction media company in the world, through 2011. Prior to that, he served as Chairman and President of Entertainment for Fox Broadcasting Company. Previously, he was President and CEO of FX Networks, NewsCorp’s flagship entertainment cable network. He also served in a series of positions with Home Box Office, including as Vice President, Consumer Marketing where he had responsibility for marketing efforts supporting the HBO brand and HBO original movies. He began his career in the advertising industry, including positions at Saatchi & Saatchi, Compton and Ogilvy & Mather Advertising with clients such as Procter & Gamble and Unilever. He currently serves on the boards of The Topps Company, Inc. and MGM Studios. Mr. McInerney served as Executive Vice President and Chief Financial Officer of IAC from January 2005 to March 2012. From January 2003 through December 2005, he was Chief Executive Officer of IAC’s Retailing sector. Prior to that time, Mr. McInerney served as Executive Vice President and Chief Financial Officer of Ticketmaster and its predecessor company, Ticketmaster Online-Citysearch, Inc. He also worked as an investment banker at Morgan Stanley for 11 years, working with a wide variety of public companies across several industries, advising on restructuring, M&A, IPO and other capital-raising activities. 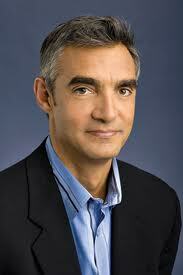 He also serves on the boards of HSN, Inc. and Interval Leisure Group, Inc. Earlier this year, independent directors Alfred Amoroso and Maynard Webb were appointed to the Board. With today’s appointments, the Board has added a total of five new highly qualified independent directors this year. It is expected that the majority of directors will be new to the Board in 2012 following this year’s Annual Meeting of Stockholders, and that the entire Board will be new since January 2010. As previously announced, four directors volunteered not to stand for re-election at the next annual meeting, and an additional director resigned from the Board earlier this year. Yahoo! will be filing a proxy statement with the SEC in connection with the solicitation of proxies for its 2012 annual meeting of stockholders. Stockholders are strongly advised to read Yahoo!’s 2012 proxy statement (including any amendments or supplements thereto) when it becomes available because it will contain important information. Stockholders will be able to obtain copies of Yahoo!’s 2012 proxy statement, any amendments or supplements to the proxy statement, and other documents filed by Yahoo! with the SEC in connection with its 2012 annual meeting of stockholders for no charge at the SEC’s website at www.sec.gov. 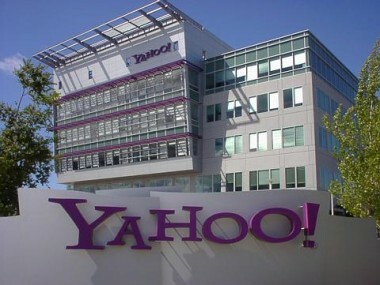 Yahoo!, its directors, executive officers and certain employees may be deemed participants in the solicitation of proxies from stockholders in connection with Yahoo!’s 2012 annual meeting of stockholders. Information concerning the ownership of Yahoo! securities by Yahoo!’s directors and executive officers is included in their SEC filings on Forms 3, 4 and 5, and additional information is also available in Yahoo!’s proxy statement for its 2011 annual meeting of stockholders filed with the SEC on April 29, 2011. Information regarding Yahoo!’s directors, executive officers and other persons who may, under rules of the SEC, be considered participants in the solicitation of proxies for the 2012 annual meeting of stockholders, including their respective interests by security holdings or otherwise, also will be set forth in the definitive proxy statement for Yahoo!’s 2012 annual meeting of stockholders when it is filed with the SEC.